We’d love to hear from you, so get in touch via email, like us on Facebook, follow us on Instagram & Twitter or sign up to our free mailing list below, so you can be the first to get festival updates. If you are not from round these parts, then Bristol is a great place to visit. It is easy to see why Cary Grant had such a soft spot for the city of his birth and returned so frequently.  Bristol has been voted the coolest city in Europe (National Geographic Traveller UK’s Cool List), the best city to live in the UK by OnePoll (Oct 2009), MoneySuperMarket (Oct 2013) and The Sunday Times (March 2014 and 2017) and was listed in the top 10 cities to live in the world by Forever Sports Magazine (2016), was awarded European Green Capital 2015 and was designated as a UNESCO City of Film in 2017. If you are planning a trip to Bristol, then the Visit Bristol website has lots of useful information about accommodation and what’s on in the city. The tourist information office is situated on the Harbourside just beneath the Watershed (one of the festival venues). There are a number of car parks within easy walking distance from the centre, situated at Rupert Street, Queen Charlotte Street and Prince Street. There is an Evening Rate available at Rupert Street and Queen Charlotte Street Car Parks at £2.60 per evening (arrive between 6pm – midnight). There is other parking at Trenchard Street situated at the rear of the Bristol Hippodrome and one underneath Millennium Square. Be aware that the centre is likely to be very busy due to the Harbour Festival. Give yourself plenty of time to find a parking place, or use the park and ride facilities at Portway, Long Ashton or Brislington. If arriving at Bristol Temple Meads station, taxis (5 minutes) are available to city centre. Bus Nos 8 and 9; ask for city centre stop for Watershed and Millennium Square, or carry on up Park Street for the Museum and Everyman Cinema. Bristol Parkway is approximately 5 miles from city centre, where taxi and bus services are also available. Bristol Ferry Boat Company have ferry services from Temple Meads that alight on the waterfront around 1 minute walk away from Watershed and Millennium Square. Please contact them on info@bristolferry.com. Bristol Insight are offering hop-on hop-off open-top bus tours of Bristol featuring Cary Grant throughout the weekend. Catch the bus from Explore Lane, behind the At-Bristol Planetarium in Millennium Square. See the 2018 Festival venues below. The festival venues are mostly accessible, contact the venues directly to discuss your requirements.